Will there be a stop button for the Skin Bee78? Bee78 has always had a stop button. It's disguised as the decorative finial on the RH side of the 'next' button. This does not work with Mouse Over, but with a right click it only appears, see screenshot. That's not very practical. Is a visible stop button not feasible? Can I integrate this view in Bee78 Skin? Thanks for the advice, got it to work after a couple of tries, thanks. Really like what you've done! Please consider publishing this as a new skin. If you can get the files from john wim, then yes, it would be quite easy to overwrite just the player bar details in the Bee78 skin. Is there a simple guide for lay people like me? Hi! I've spend many hours looking for the perfect skin an I settled for Bee78 and I've been using it for a few years now and I'm loving it. I just upgraded MB and I so happy to find that not only is there an update to my favourite skin, Steven has also included it with MB! I don't know how you make skins but I am a programmer and I don't mind tweaking it myself if you would guide me how to do it. Hi JieXian I'm currently working on an update of Bee78 for MB3.3. 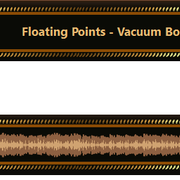 It has fixes for a few issues with the waveform. Shouldn't be too much longer before I have it finished. Also, I used to be able to click the name of the now playing track on the "main player" panel, and I will be able to perform the "locate playing track at source". Now I can't seem to do it anymore with the new version of Bee78, as the now playing track name is overlapped by the progress bar. Also, I used to be able to click the name of the now playing track on the "main player" panel, and I will be able to perform the "locate playing track at source"
Yes, but this is only the case for the Bee78 skin. For other skins (including the default MB theme) I can click on the name of the playing track and I don't have to do "right click->Locate Playing Track at Source". I really wish I could do it, because I've grown accustomed to clicking on the name all the time. Perhaps it could be mapped to the sides of the decorative progress bar like you have done with the stop button? Was able to reduce the skin size under 500KB!